A word of advice: don’t have one of these. Because you’ll want another. And another. And another, until you’ve finished the whole damn jar and now what are you going to give your uncle for his birthday, you greedy little piglet? These crunchy yet tender beans are the perfect treat. Moreish to the max, they provide the optimum level of soft caffeinated buzz. Unless you eat the whole jar like we did, in which case the buzz might go from soft to EXTREME. That said, these bad boys are deceptively mellow - unlike their original powdered counterpart. 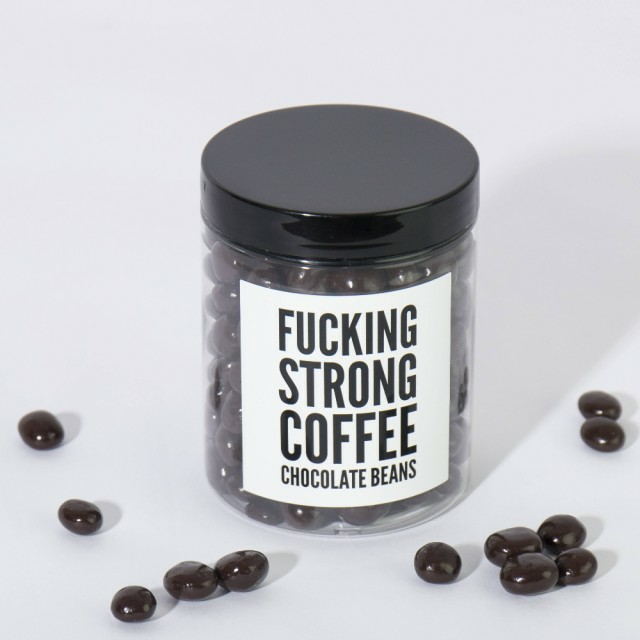 It would be irresponsible of us to make these beans as strong as that stuff. There would be lawsuits, perhaps even deaths hyperactive beanmen roaming the streets. We can’t have that now, can we?